We pride ourselves on creating unique marketing campaigns that suit the needs of our clients and help them promote their products or services to their target audience. Email marketing is the best way to reach your target audience. It also gives the best return on investment as it reaches out to your potential and existing customers. Most marketers have come to realize that email is fundamental to the success of business especially for ROI purposes as well as for developing profitable, long-lasting relationships. Our experts use strategy, tools, implementation and result tracking to achieve the best brand management possible. We deal with everything from tailored content to end to end email campaign and management. We understand that reaching more customers will increase your revenue and help your business grow. Our experts know how to come up with the best strategy that will attract your target audience and establish their information needs. Reports on the important elements of your campaign including telling you who clicked through, where they clicked and who converted. We have an experienced team of designers that will bring your message to life and boost your target audience engagement with your brand. 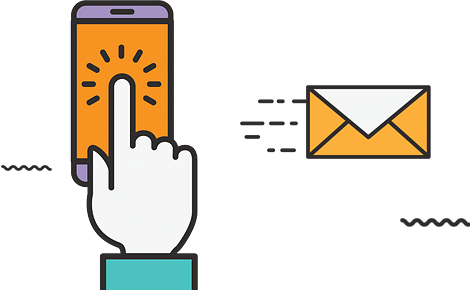 Our team of experts is more than ready to manage your email marketing campaign and help you increase your sales and profits.